San Diego County recorded 1,246 default filings last month, the lowest it’s fallen since October 2008. Still, more than 18,000 property owners in the county received notices of default in 2011. Foreclosures were up slightly in December, rising from 666 in November to 710 in December, or 6.6 percent. Those numbers are lower than the two- and three-year averages of 923 and 1,003, respectively. 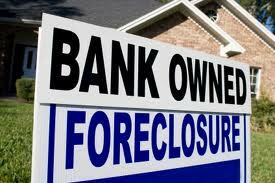 The 2011 tally of homeowners who were foreclosed upon was 10,169, down from the previous two years’ totals. Lower foreclosure and default numbers in San Diego and throughout California could be attributed to other alternatives that include refinancing, principal reductions and short sales. Mortgage rates are now at record lows, falling below 4 percent, which is unprecedented. DataQuick says most of the state’s mortgages that are defaulting are from 2005-2007, with the median origination time in the third quarter of 2006, which has been the case for the past three years, the local data tracker said. Notices of defaults statewide fell in all price ranges last quarter but were “far more concentrated in the more affordable areas,” DataQuick’s report said. In San Diego County, the most distressed areas last month continued to be the South Bay, including San Ysidro and different parts of Chula Vista.